Spring, Texas – April 25th, 2018: Athletes from all over the world will be in town this week for the IRONMAN Texas event on Saturday in The Woodlands. 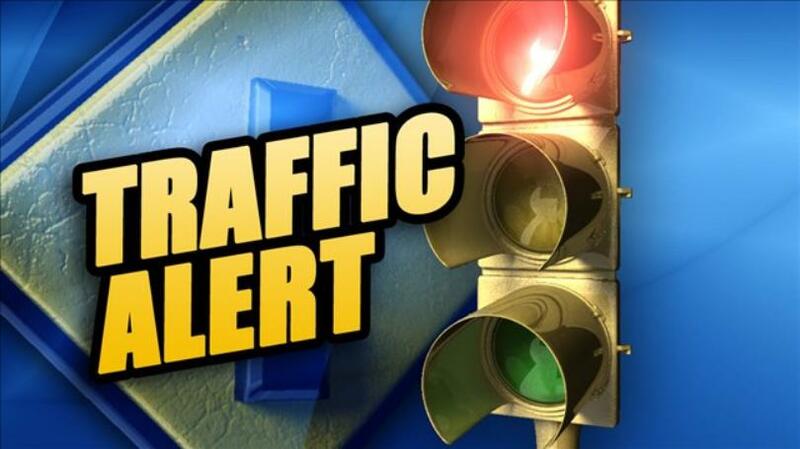 TRAFFIC IMPACT: There will be road closures and detours in place beginning around 5:00 am on Saturday morning and in place as late as 11:00 pm. Areas affected will be The Woodlands, Spring, and the the Hardy Toll road (Northern Harris County). GROGANS MILL ROAD SOUTHBOUND (FROM NORTH MILLBEND): 7 AM to 9:30 AM – Take Lake Woodlands to Six Pines Drive, Six Pines Drive to N Millbend Road, N Millbend Road to Grogan’s Mill Road. GROGANS MILL ROAD NORTHBOUND: 11 AM TO 5:15 PM – Take Woodlands Parkway to Six Pines Drive, Six Pines Drive to Lake Woodlands, Lake Woodlands to Grogan’s Mill Road. For more information about IRONMAN Texas, please visit Ironman.com/Texas. 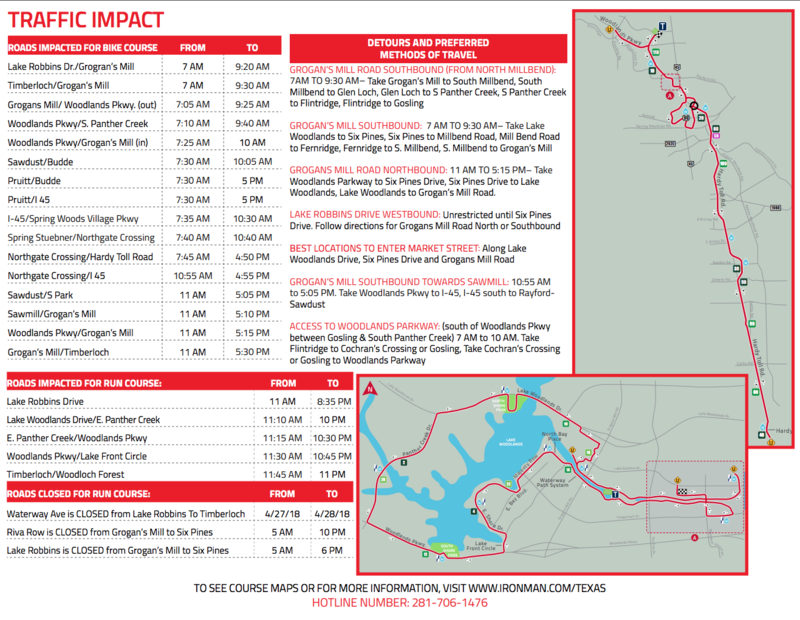 If you have questions in regards to road closures or impacts, contact the Ironman Texas Hotline at 281-706-1476.